Supplier: Patient Support Systems By: Daniel Yaffe - Patient Support Systems. Dispelling the Myths and Magic in choosing what's best for your patient. 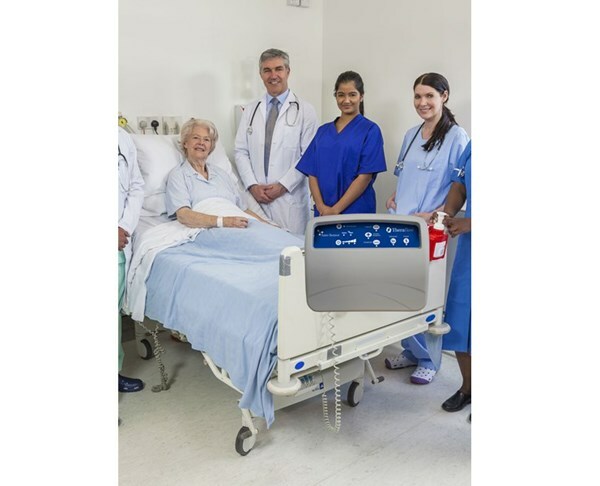 As a designer, developer and programmer of air alternating support surfaces for the Australian Health Sector, I would like to share some of my knowledge and experience and hopefully assist those who find this subject somewhat confusing and complicated. I will start with three common myths regarding alternating mattresses and then provide some advice on what to look for when deciding on the best system for your particular needs. Myth 1. 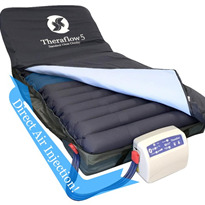 Air alternating support surfaces are designed to relieve pressure. 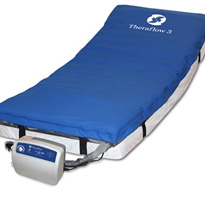 Many believe that an alternating cell system is designed to “relieve” pressure under the patient. This is completely incorrect. 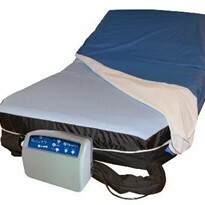 Rather, an alternating system is designed to APPLY and then RELEASE pressure against the patient. 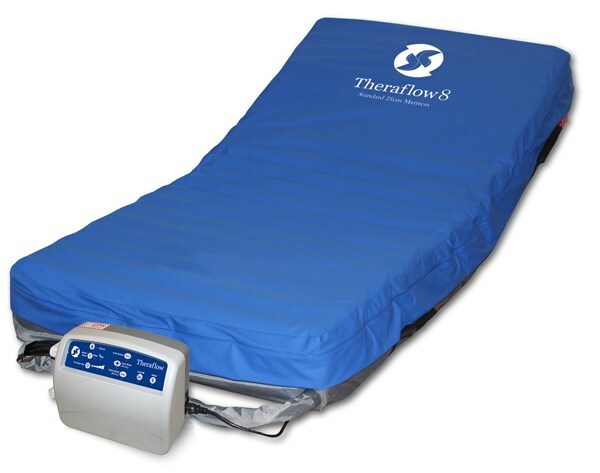 It is important to understand that the APPLICATION of pressure is just as important as its RELEASE in the prevention and treatment of pressure areas when using this technology. The difference between the terms “relief” and “release” go to the heart of understanding the difference between an active support system and a static technology such as foam. 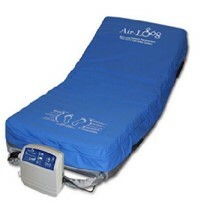 air bladder or gel mattresses. When a cell inflates against a patient, it occludes the patient’s vascular system in contact above the cell. This occlusion builds the vascular pressure on either side so that when the cell deflates and releases the occlusion, the built up pressure leads to a rush of oxygenated blood or “reperfusion” though the vascular system. 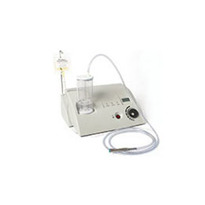 This both re-oxygenates the area and removes cellular waste buildup. When explaining this, I often use the example of a garden hose. When you kink a hose midway between the tap and the outlet, the flow of water stops and pressure builds up between the kink and the tap. When suddenly, the kink is released, the flow of water through the outlet is many times more than what it would have been if the kink had not been created. This is precisely how an alternating system works. 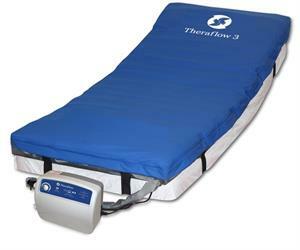 It mimics the movement of a healthy body’s subconscious movements in loading and offloading pressure both whilst awake and asleep. Myth 2. 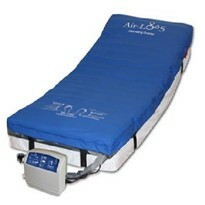 Air alternating systems work by massaging the blood around the body. This is not how a cell cycle operates. Cells do not alternately rise and fall next to each other. If they did, the poor patient would be rising and falling as each alternation came and went! Instead, each alternation starts with all cells inflated or “auto-firmed” then, depending on the design of the system, every 1 in 2 or 1 in 3 or even 1 in every 4 cells deflate away from the patient. They then remain deflated for the period of the alternation before reinflating again so that once more, all cells are inflated against the patient. Once this occurs, the next set of cells deflate away and the cycle begins again. The important idea to note is that the patient is always supported during every period of the cycle. Myth 3. A patient still needs to be ‘turned’ when on an alternating system. This is a somewhat contentious issue but I will give my personal opinion based on my technical knowledge of what these systems are designed to achieve. It negatively impacted the patient’s quality of life. Sleep cycles were disrupted leading to further negative health impacts. The very act of turning a high care patient often led to damage to sensitive parts of their body. A carer’s hands could often inadvertently cause tissue shearing and lead to skin breakdown on the patient’s body which would exacerbate their condition further. In answer to this myth, I would advise the following. An alternating system, properly selected and correctly operated by a trained individual should remove the need for turning purely to avoid the onset of pressure areas. 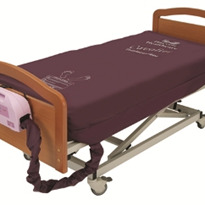 In saying that however, I do not advise that a carer just leave a patient on an alternating system without periodically checking skin condition and other factors such as pressure points caused by garment or top sheet folds, items against the body such as buttons etc… also need to be checked. How to choose the best alternation system for your needs. “To overlay or not to overlay – that is the question!” Alternating systems come in two main types, overlays which are designed to be installed above an existing mattress or mattress replacements which are designed to replace the original mattress entirely and sit directly on the bed frame. Often this comes down to practicality and budget. If you are a facility who cannot simply store a mattress in the nearest cupboard then an overlay may be the only option. These systems often tend to be lower priced which makes them a better alternative especially if a number are needed throughout the facility. Beware the bed rail height! A thick mattress coupled with a high spec. 13 or 14cm overlay may leave little room for the bed rails to provide a sufficient safety mechanism. You may need to choose a more slim line 8 cm overlay to avoid this if bed rails are a requirement or height off the floor is a concern. Beware the weight specification! 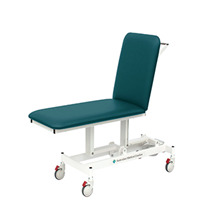 Standard Weight Ranges or SWLs listed in the marketing material for these products have little to do with the real world and refer to a patient in an ideal situation, with a normal weight distribution lying in a perfectly supine position. Throw these SWL recommendations out the window if your patient is an amputee, lies on their side, needs their upper body raised for respiration or intubation or ends up curled in the lower right hand corner of the bed each morning! If any of the above apply in point 2 and the patient is assessed at high risk or with existing pressure areas, I would strongly recommend upgrading to a full mattress replacement if the budget allows. The control unit or “pump” The stronger the better! Alternating systems have a set time for each alternation cycle, this could be 5 minutes, 7 minutes, 10 or more. 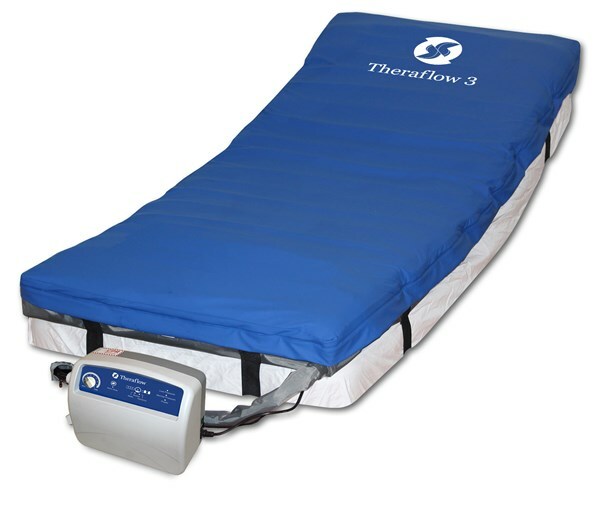 The faster a pump can inflate the cells, the longer they can stay deflated and remove or reperfuse the patient. Look for control units which can output at least 10 litres per minute. Choose a digital air release system. 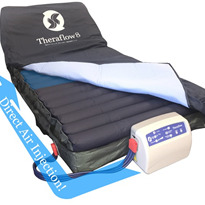 It is important that when the time comes to release air and pressure away from the patient so as to reperfuse their vascular system - that this be done as quickly as possible. Think back again to my hose kink example. Releasing the kink too slowly would compromise the rush of water to the outlet. A fast release leads to a greater rush of water. I therefore advise you not to choose control units with mechanical air distribution valves. These are easy to recognise when listening to the pump when it alternates. When it is time for the air to release you will hear a gradual build up from a very soft to a medium “hiss” of air. TPU refers to Thermal Poly Urethane. It is soft and stretches under the patient – quietly applying pressure but not too much pressure. The other cheaper cell material type is Nylon TPU. This is a nylon laminate bonded to the TPU. This stiffens the cells, is cheaper but has two undesirable side effects. Nylon TPU cells are uncomfortable. 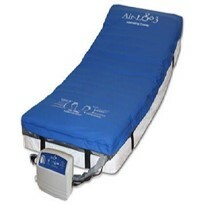 They do not stretch when inflated against the patient and often feel like hard uncomfortable bands across their back. They can also lead at time to tissue damage in very high risk patients. Nylon TPU cells are loud. Rub them together if you get the chance - they make a loud “swishing” sound. 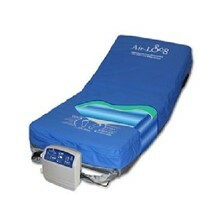 Added to this, when inflating, they can make a “popping” noise which can further disturb the patient. 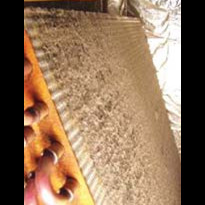 Choose a fully welded outer surface. All top cover seams should be welded not stitched. Stitched seams compromise infection control as the stitching can wick contamination through to the inside cell section. 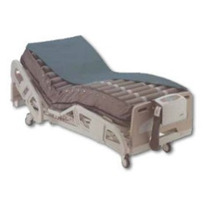 The better systems also have fully welded bases for ICU levels of infection control. Look for air hoses which do not splay out across the floor and become a trip hazard if the bed is lowered, especially if it is a floor bed! The electrical cord should be held in place by the mattress itself and not have to be dangerously threaded through the bed frame or along the floor. If you have any questions or comments or would like any advice on choosing or customising an air alternating system to suit your needs, please feel free to contact us.